Nicholas Paschall is the product of the University of Texas at San Antonio, where he earned his degree in History. Mad beyond belief from constant nightmares, he scribbles down his dreams in hopes of pleasing the masses so that he can bring a little fright to life for readers who haven't had a good scare in a while. Married to a lovely woman, he spends his days lurking in his tomb, typing away with bony digits to create new tales of woe and fear, spinning them into short stories for his website, pieces for anthologies, or greater works such as his novels. Ghost of O’Leary House by Nicholas Paschall is a horror story with a bit of a difference. Everything is not well in Alice Grove. Eighteen-year-old David has been left with his grandmother for the weekend, only because the last time he was left alone he trashed the house with a party. His grandmother proves to be something of a revelation, providing him with a motorcycle and sending him off to a local pond to meet other teens – on her property. A stranger keeps chasing David, and it is only through talking with Miley and her friends that he learns of the strange goings-on in the town. David’s grandmother appears to be a witch. Not believing it at first, he soon starts to have his suspicions when she acts out of character. Helping her to clean up, David pockets a dagger and a book, but both are a little more than just ordinary objects. As the mystery begins to make sense, David soon learns that he has another purpose in life, a purpose he was unaware of before now. Will he rise to the challenge or turn and run? 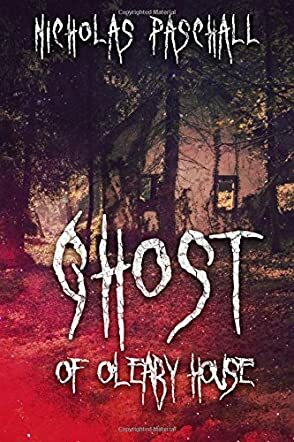 Ghost of O’Leary House by Nicholas Paschall was a romping good read. Being written for young adults, it was easy to follow without being simplistic. Indeed, there were many complex aspects to the story, plenty of twists and turns, and a lot of action. It was a slow starter, but it certainly didn’t take long to pick up pace and soon became very much like a high speed ride through the haunted house. The character development was excellent, leaving me in no doubt as to the inner workings of the main characters and the role they played. Nicholas is an excellent writer, knowing exactly how to grab hold of a reader and hang onto them with a grip of iron, using the power of language and description to achieve his aim. This is a great story, and I would love to read more.